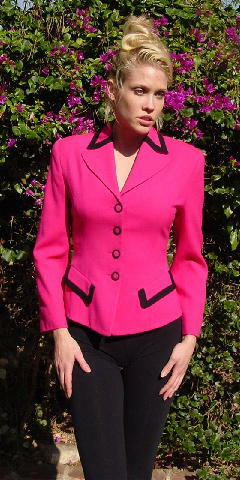 This hot shocking pink 100% wool jacket has a black trim on the collar and on the 2 faux pockets' flaps. 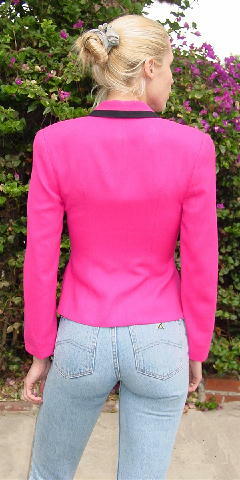 There are also 4 pink wool buttons down the front encircled by black wool. shoulder to end of sleeve 21 1/2"
armpit to armpit 16 1/2"